I was guiding a wildlife tour during a cold winter morning through Grand Teton National Park. 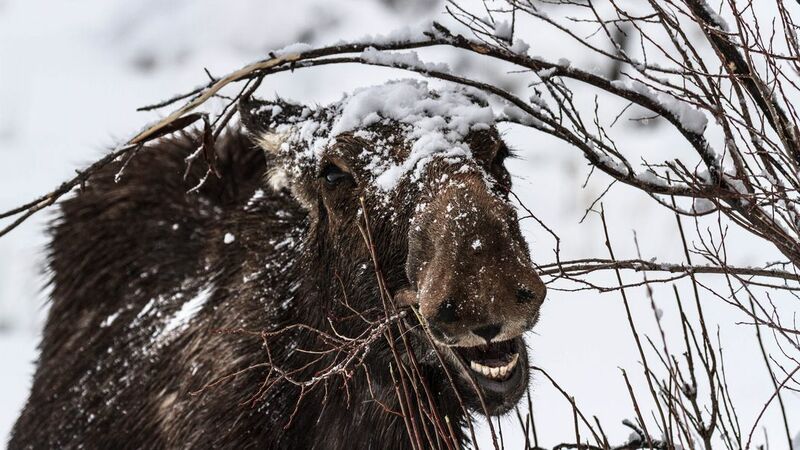 During the morning safari, I found some cow moose chewing on some twigs. The cold snow covered the willow's branches. As the moose tugged on the twigs, snow fell upon its head. I found the expression of the moose and the snowy hat to be an entertaining site for myself and my guests.